It’s a big year for Brazil, with this summer’s World Cup turning the global spotlight on the country. 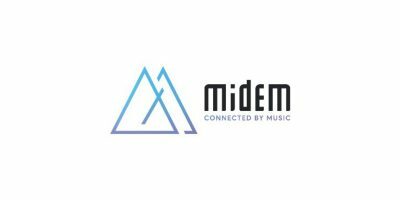 It’s an interesting time for its music industry too, and a panel of experts gathered at Midem today to discuss what’s happening there. The panel, moderated by Bruno Boulay, head manager of bureauexport São Paulo at the French Embassy / SESC, comprised: Dauton Janota, CEO of Pleimo.com; Luis Justo, CEO of Rock in Rio; Marcelo Soares, CEO of Som Livre; and Marcel Dadalto, an artist and songwriter from Brazilian band Zémario. The first topic up for discussion: Brazil’s musical diversity. Soares talked first: “It’s a country of continental dimensions and with very different cultures and musical genres that come with those cultures,” he said. Soares’ company, Som Livre, is the largest Brazilian record label, with a 20% market share. How does it compete with the big majors? Firstly by concentrating on Brazilian music, and then by seeking partnerships with other independent labels around the world, to give them a way into the Brazilian market. “Today, the Portugese is still a very huge barrier for Brazilian artists to reach worldwide success, but specific great songs are having more space than maybe they used to have 10 years ago,” he said. Onto Justo, who talked about Rock in Rio, and the wider live music market in Brazil. The festival has been going for 30 years now, and in 2013, the concert had more than $52m in sponsorship and turnover of $100m from ticket sales. The cost of concert tickets has been a sensitive issue in Brazil in the last year, said Boulay, asking how Rock in Rio manages this. A ticket costs $150 per day for the event, with 600,000 tickets selling in four hours, as well as a presale that sold out in a similar time even though no bands had yet been announced. He admitted that there has been unrest around other tours, citing Lady Gaga’s first visit to Brazil as one example. “It’s something that is tricky how to price. I think that’s worldwide, not only Brazil,” said Justo. Next for Rock in Rio: more global expansion: North America, and talks with three other Latin American countries (“we will probably choose one of them”) and Germany. Deezer and Spotify both have designs on Brazil, but Janota took a pop at the models of the big Western streaming services, citing the infamous (and, er, not strictly accurate) stat on Lady Gaga, before abruptly being drowned out by an enormously loud samba band playing outside the conference hall. Suffice to say, Pleimo.com is positioning itself as a more artist-friendly alternative to its rivals from overseas. Soares talked about Som Livre’s artists, and how it works to spread their music across the country. “Digital distribution levels the workplace for everybody. It’s easier there. For physical distribution it’s very tough, with the huge dimensions of these 27 states. There are a few big cities which currently have no record stores at all.” He agreed that live is difficult for emerging artists, though.